Trappers Tavern Restaurant Whether staying at our Copperfield Inn and Resort, vacationing in the Adirondack Mountain region or just out for a scenic drive, Trappers is a great restaurant to grab a bite in a classic Adirondack atmosphere and has the best burgers in the ‘Dacks. 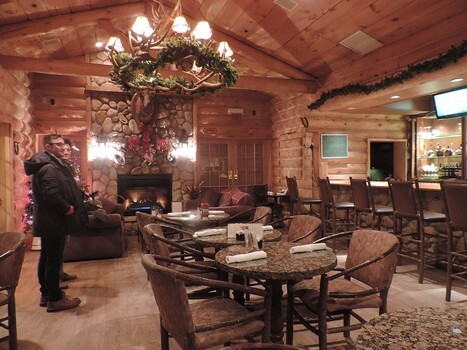 The menu is filled with tasty appetizers, great sandwiches and delicious entrees – to give you and your family a fun and friendly Adirondack welcome. Trappers is located right on the grounds of our Adirondack resort so it’s super convenient. With Thursday Pasta Night & Saturday Prime Rib Night, Trappers is North Creek’s hot spot.